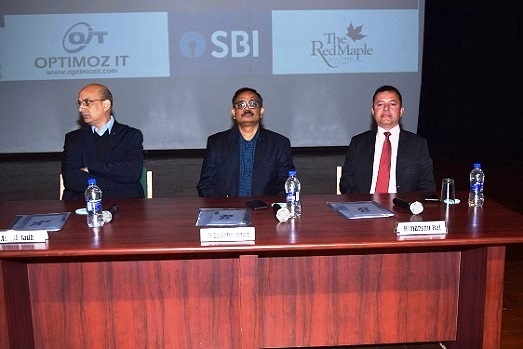 IIM Indore’s Annual HR Conclave, PRABODHAN 2019 was held on January 11, 2019. Organized by One Year Full Time Post Graduate Programme for Executives (EPGP) Batch 2018-19 and Industry Interface Office in collaboration with NHRDN Mumbai; Prabodhan witnessed stalwarts from several fields sharing their knowledge with the young minds. Professor Ashish Sadh, Chair, EPGP then welcomed the delegates and the participants. He appreciated the efforts put in by the EPGP Batch 2018-19 in organizing the event. He noted that HR has always been an integral part of every organization and efficient management of HR is the basic factor which helps a company/organization accomplish its goals. 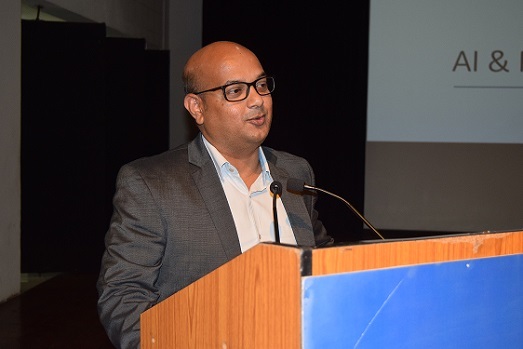 Professor Himanshu Rai, Director, IIM Indore then addressed the gathering. Sharing his own expertise in the HR field, he said that the event Prabodhan is close to his heart. He shared the two major challenges which he believed are bringing about a change in the industries. ‘During this rapid industrialisation, how to make our employees more productive, satisfied, motivated is one factor—but how to make employees more engaged and aligned with the vision, mission and aim of the organization is more challenging’, he said. 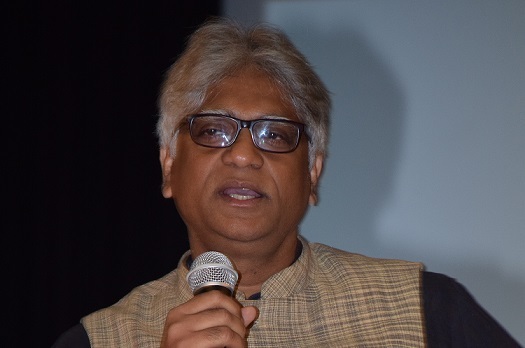 Speaking about the emergence of technology in day-to-day lives, Professor Rai said that jobs today are replaced by artificial intelligence and computers, and now HR is looking for people who have more information, education, and knowledge in all the fields. ‘When we were young, we could dream and live fearlessly. Today, HR is also looking for those people who are not afraid to dream—and who can get aligned with the company’s values, ethics and mission’, he said. He concluded his talk saying that HR job is now shifting from not only planning for better leadership successfully, but also building leadership. This was followed by a Keynote Address by Mr. M T Lakshamanan, Vice President and Head HR- L&T Defence. He began his talk giving a brief introduction about all the speakers. Addressing the participants with work experience, Mr. Lakshmanan said, ‘You all have work experience and knowledge by now, and you’re all working in a good way. But the HR these days looks for persons who not only excel in knowledge and skills, but also humility, adaptability, agility, flexibility and have team spirit. They look forward to hiring persons who have the courage and the ability to act rationally when under pressure’, he said. Noting that schools, colleges, universities and B Schools are the best place to develop strong relationships, Mr. Lakshmanan encouraged the participants to make friends, and put the other person always first—as this helps in strengthening the relations. ‘One can build up to 150 strong relationships in his entire life. You can be in a good relationship only when you’re willing to contribute everything, without expecting anything’, he said. The first session of the day then began on the theme—‘Careers & Experiences: New Pathways’; wherein two eminent speakers shared their views. 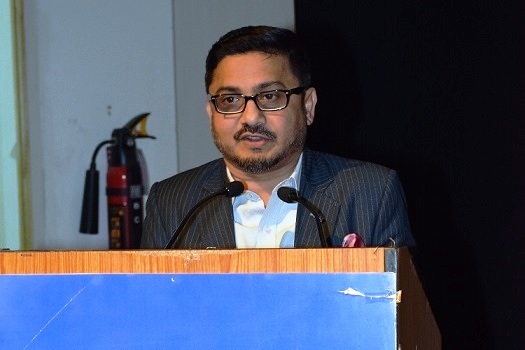 The first speaker was Mr. Vasant Sanzgiri, Group Head- HR, Shapoorji Pallonji Group. Sharing the results from Global HR Report by Deloitte published in 2018, Mr. Sanzgiri noted that the skills of future will shift from technical to art based. ‘With time, social skills, relationship building and other soft skills would become more important. It won’t matter from which school or university you bagged a degree from, but your ability to communicate—verbally and in written as well—with people, your behaviour, your personality would matter a lot’, he said. 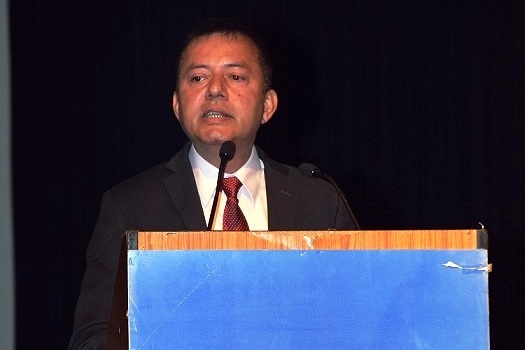 Discussing the recruiting pattern trend in the recent years, Mr. Sanzgiri said that a generalist is more valuable these days rather than a specialist, for the former is more aware of everything around and knows it all, while the latter is an expert in just one particular area. 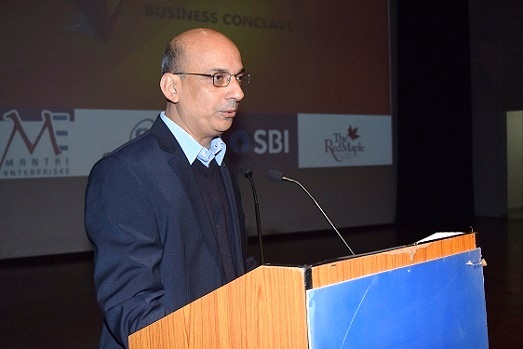 Mr. Prabir Jha, President and Global Chief People Officer, Cipla then shared his views. He encouraged the audience to break free, not to be a prisoner of the past and follow one’s own dream and passion. ‘Do not expect the HR to provide you opportunities while working. Learn quickly, don’t be scared of risks, accept your failures and try to do new things’, he said. He advised the recruiters present in the gathering to hire the people for what they can do, and not for what they have already done. ‘If you’re good, nobody can stop you from achieving your goal. Being a good leader, one needs to understand that leadership is like a pizza of experiences with different toppings. Make your own pizza and be your own brand ambassador. Review your portfolio as you review your investment. Keep updating, every now and then’, he concluded. 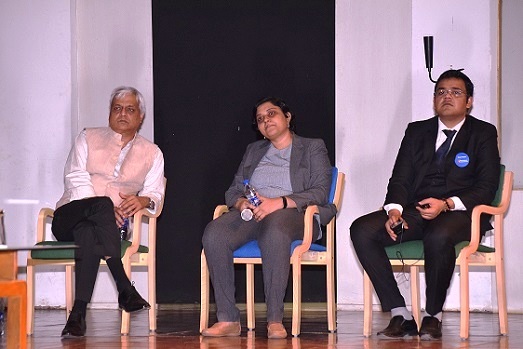 The second session of the day was on the theme—‘The Changing Role of the CHRO.’ The speakers for this session included Professor S K Ghosh, Faculty, IIM Indore; Mr. Anil Kumar Misra, CHRO, Magicbricks.com and Ms. Asha Poluru, Head HR, McAfee India. Professor Ghosh shared his journey of being an HR preacher and asked about the changing role of HR as strategic partners in the corporate world. ‘Today the latest technological evolutions like AI and ML are changing the landscape, bringing a drastic change in the work culture as well. The jobs which humans used to be hired for, are now easily accomplished by a single machine’, he said. Mr. Anil Kumar Misra then talked about evolution of role of CHRO. Noting how the KRAs have changed in the last 100 years, Mr. Misra said, ‘In the 1920s, the KRAs focused on employee welfare, in the 1970s, the focus shifted to personal management, and in 2018-19, now the KRAs are all about happiness. The corporates have started talking about roles such as Chief Happiness Officer as well’, he said. He said that the KRAs now are hiring talents which are proactive, who strengthen the culture of the organization, create sense of pride amongst employees and create leadership as well. The second session concluded with a talk by Ms. Asha Poluru, who shared how the new role of the HR should be. Noting that with the change in industry, people have also become multi-skilled and the concept of bulk hiring has become obsolete. ‘It is Important for CHRO to create the right kind of experience for the employees. The definition of loyalty has also changed. It isn’t about the tenure a person serves. It’s about viewing every employee as a brand ambassador’, she said. The next session was on the theme—‘People Data: How Far is Too Far’. Professor Mr. Paneesh Rao, CHRO, L&T Technology Services was the first speaker of the session. Discussing about how the data helps in real life, Mr. Rao said that meaningful data requires sound processes. ‘A good data leads to great business decisions, it has to be collected with a purpose and should always be objective’, he said. He noted that 63% of companies are using data from surveys to help business grow and make HR decisions. ‘Organizations today are mobbing from system oriented MIS to AI and algorithm oriented decision making’, he said. He concluded encouraging the gathering to follow and respect every process, not to cross the limits in whatever is been done and always focus on self’s business. 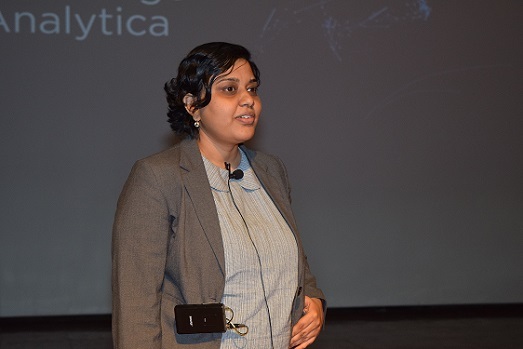 The next talk was by Ms. Dharshana Ramachandran, Lead, Talent Analytics & Strategy, TCS. She discussed about Project Oxygen by Google, which uses data analytics to help development of managers into coaches. She also discussed about ‘People Analytics’ and said that it helps to create a future ready organization, with a high performance culture. 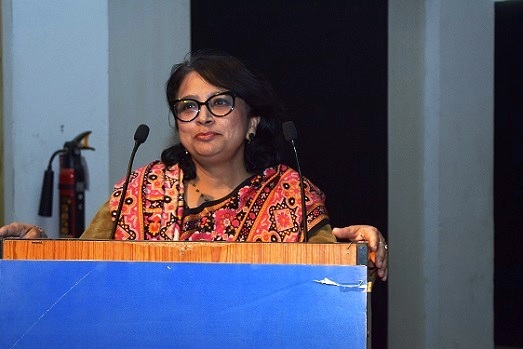 Discussing that according to a data collected in a survey, introverts are more influential than extroverts, she said, ‘Considering the soft skills, HR should make people analytics more user friendly—as it won’t be biased based on a person’s behaviour’, she said. 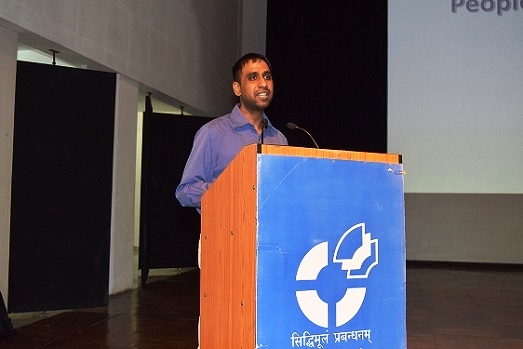 The third speaker for this session was Professor Srinath Jagannathan, Faculty, IIM Indore. He shared his views on how technology has evolved and helped in creating digital community. He also discussed about the humanity aspect of the data, and how technology has helped data in democratising opportunities in today’s world. ‘Digital data is playing a very important role today. It not only helps in managing the huge database available, but also helps in creating digital communities in an arranged manner’, he said. He said that technology advancements have helped in creating records which earlier was a difficult task, and with the help of innovative techniques today, we’re able to ensure data safety as well. This was followed by the final round of a Paper Presentation Competition –held as a part of Prabodhan 2019. The competition had witnessed more than 400 registrations for the case competition, out of which just six teams were shortlisted. These belonged to IIM Bangalore, MDI Gurgaon, FMS Delhi, IMI New Delhi, IIM Lucknow and Goa Institute of Management, Goa. The problem statement for the case was—‘Improving Peer to Peer Lending in India by Taking Reference from International Markets and Recent NBFC Crisis in India’. The teams got 10 minutes each to share their presentation with the judges namely, Professor Manoj Motiani and Professor Saumya Ranjan Das, Faculty members, IIM Indore. 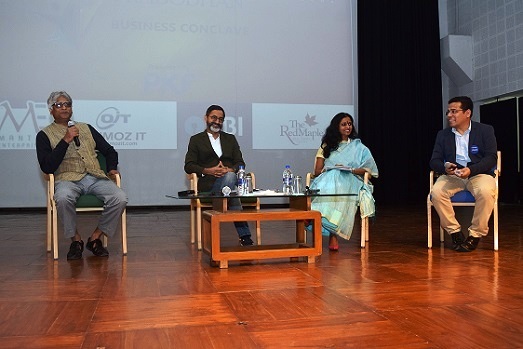 The last panel discussion was on the topic AI & Robotics: Putting Humans in Loop—with panellists Professor Kajari Mukherjee, Faculty, IIM Indore; Mr. Unmesh Pawar, Partner, KPMG; Mr. Nithin Alkanand, Senior Executive Recruiter, Amazon India; Mr. Manoj Kumar, Founder, Workplaceif. The panellists shared their views on how technological advancements have brought about a change in lives and man and machine confrontation in our routine. Professor Mukherjee noted how practitioners are using AI to help HR managers. ‘However, AI cannot capture the human emotion aspect, as AI is basically based on past patterns and may not be capturing the present contextual relevance in certain cases’, she said. Mr. Pawar said that we need a lot of data to use the AI and ML in HR management effectively. These are enablers for HR functions and they help in identifying future business scenarios. Mr. Manoj Kumar also noted that machines are not just tools anymore; they are turning into workers—as and when technology is advancing. ‘The life expectancy is increasing—this means more and more years to work, plus having more challenging jobs ahead’, he said. Mr. Alkanand said that data by nature is unstructured and information is structured data. ‘The key difference between AI and human is objective decision making. AI is human wisdom without emotion. True AI will measure the emotions, but not deploy in its decision’, he concluded. The day ended on a high note with a Vote of Thanks delivered by the EPGP Batch 2018-19. All the delegates appreciated the efforts put in organizing the conclave at such a huge level.